It is crystal clear that if we are going to change, we must do it ourselves. Governments are beholden to corporate interests, and corporations are going to do whatever’s best for their coffers and stock value. Fossil fuels are cheap and as long as they are cheap, we will not make the changes we need to make from the top down. It’s up to us. We the people. We have to do it at the city and state level. We have to get out in the streets. We have to fight for what we want to save. What we know is that we are ruining the world. We here on Bainbridge are privileged to have still the beauty of nature nearby and, in many neighborhoods, right here in our city. But take a trip to an industrial zone. Or a coal mine. Or a refinery. 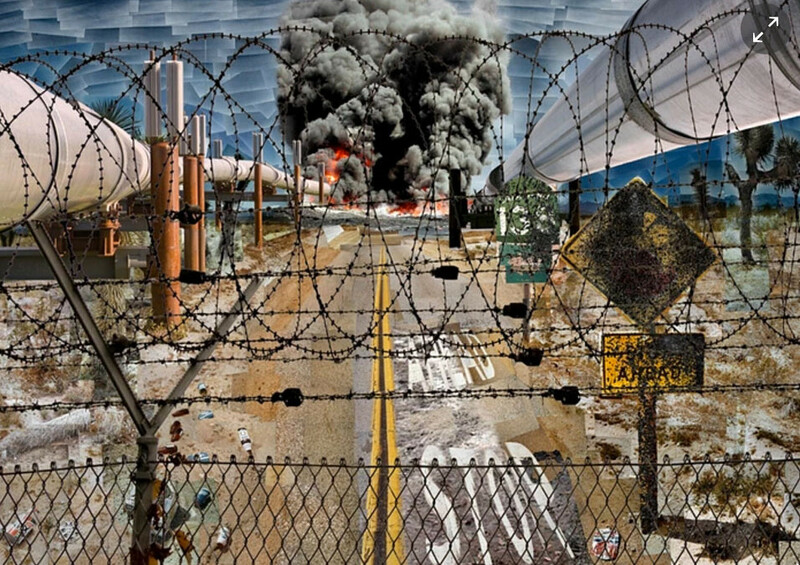 Or, perhaps the worst of all, the tar sands (go via video and Google Earth). We so easily allow big chunks of our beautiful planet Earth to be ruined in the name of convenience so we can fly when we want, drive when we want, and buy what we want and mostly don’t need. It’s time to reconcile our lifestyles with the destruction they are causing. We here on Bainbridge are privileged, and yet it is that very privilege—our SUVs, our big houses, our insatiable need for more stuff—that creates the problems we face in this world. The United States uses more energy per capita than almost any other nation in the world (only oil-rich nations like Saudi Arabia and UAE use more). And the richest 1% of the population (that’s us, people!) cause 50% of the world’s emissions. So. It’s up to us. What do you want to save today?